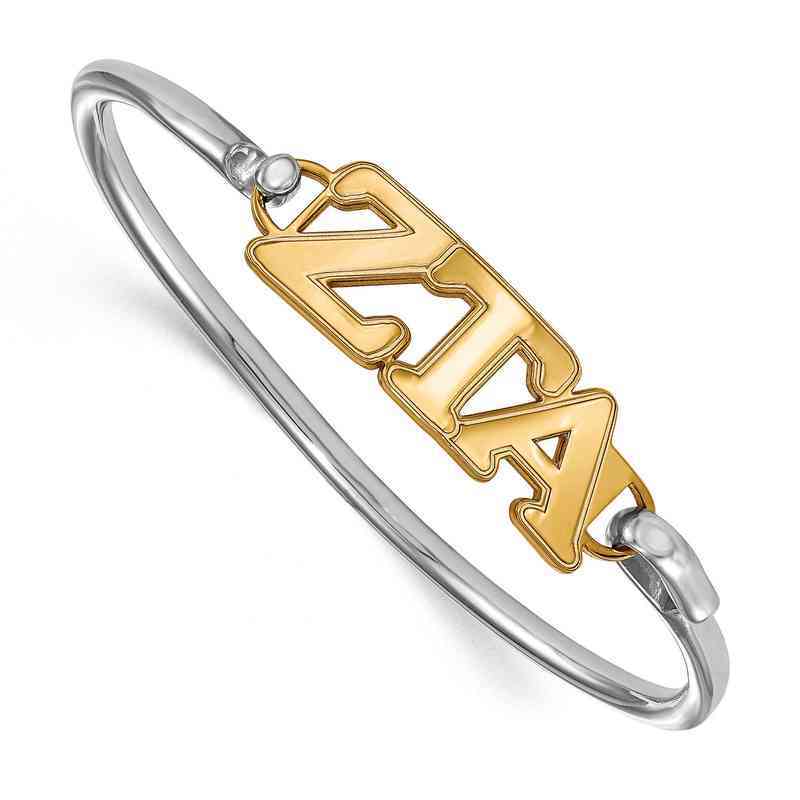 The Women's Sterling Silver Yellow Gold Flash Plated Zeta Tau Alpha Bangle features a reflective polished finish. This bangle is available in 6", 7", and 8" lengths with a small hook and clasp. The charm measures 12x33mm. Officially licensed by Greek Licensing. Manufacturer direct product from a trusted supplier.